If you’re the kind of guy who prioritizes your career and doesn’t have time to waste on mediocrity or someone who doesn’t measure up, online dating can be a godsend. Yet the problem with a lot of the dating sites usually mentioned on the “best of” lists - Tinder, OKCupid and the like - is that they don’t fit the needs of someone who's more interested in using their smartphone to check emails than swipe through profiles all day. So if you’re serious, smart and don't want to settle, check out our list of the 3 dating sites that can help you meet your match. Zoosk is one of the most popular dating sites around, but still manages to offer a uniquely personalized experience. 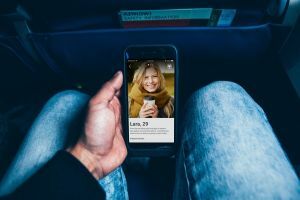 Innovative and smart at its core, Zoosk's Behavioral Matchmaking is designed to help busy singles who don’t have a ton of time to invest in the whole online dating process. This intuitive approach to pairing continuously learns your likes and dislikes and suggests matches accordingly. So the more you use it, the better it understands what you’re looking for. Which means you can cut straight through to the women who are more your style. Geared towards the career focused, Elite Singles is the premiere dating site for busy professionals who know what they want but don’t have time to browse thousands of profiles until they find it. The site has high standards to match - 80% of members are university grads between 30-55. And matching on Elite Singles is taken very seriously, employing a compatibility test to pair singles. Upon sign up, you’ll be asked around 30 questions, to gauge your attitude towards a range of topics such as problem solving and helping others. The test, formulated by leading psychologists, is the basis of the site’s matching model, which greatly increases your chances of meeting women who are worth your time. Match is perfect for the online dater who is serious about nurturing a genuine relationship and wants to find someone equally ready to commit - 38% of members have had a relationship that began on the site. Match is designed to make the whole online dating process as easy as possible. They offer lots of extras for members who are new to online dating - like tips to help your profile stand out. 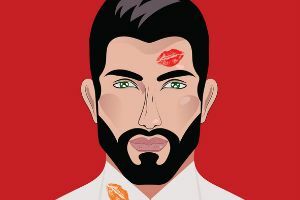 Plus, they regularly host offline events, such as bar and restaurant meetups, which help create the kind of community you won’t find on any other dating site. Still unsure of where to head online? Check out our reviews of the best dating sites to find the one that's perfect for you.